Whether you are a salary and wage earner, sole trader or investor we can prepare your income tax return and provide expert advice. Often you can save yourself considerable time and money if you receive advice prior to making a property purchase or business investment. We are more than happy to lend a trusted ear. Creating value by helping clients plan and deal with one-off or everyday financial transactions. 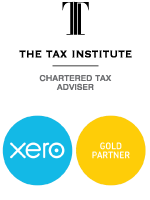 From simple tax planning on an individual basis to more complex business advice, we aim to ensure your opportunities are maximised come tax time. We also offer advice to expats, non-residents and high net worth individuals who require a higher level of technical advice, including asset protection and residency issues. Setting up a new business can sometimes be overwhelming and just plain hard work.. We are here to help you understand and comply with the myriad of laws and regulations that you as a small business owner need to know about. We like to see ourselves as the 'go to' people for turning the complex into simple. We aim to provide you with practical common sense information as well as the tools which will provide your business with the foundation to grow. We also provide structuring advice and incorporation services. If you require incorporation of a company, establishment of a trust or a more complex business structures we can advise & assist to ensure you have the most appropriate structure for your needs. We can help you with your SMSF requirements and taxation obligations. Superannuation continues to be a tax effective means of saving for your retirement and getting it right is increasingly important. We can help you to meet your SMSF tax reporting and ensure it is considered in your overall plan. More details can be found at SMSF Service and Retirement Planning.